Most cars have internal combustion engines. That means, the power created from combustion between fuel mixing with air creates energy that flows along a circuit to your car parts. Parts such as the pistons, turbine blades and rotors receive that circuit of energy and begin to propel your car forward. However, that internal combustion to create that energy can only be done with certain materials. Gasoline is a substance derived from petroleum that makes combustion possible. Depending on the manufacturer, that petroleum might be very refined or only adequately refined to run a car. The refinement of the petroleum—or your gasoline—will determine how well internal combustion works for your car to make it move correctly. Many manufacturers will add in extra compounds to improve chemical stability for internal combustion to happen easier and smoother. That refinement and additives of other chemicals can help with fuel system and will determine if gasoline is “unleaded”, “premium” or “diesel”. 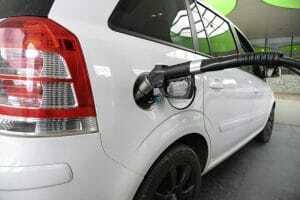 Most cars will use gasoline to power their vehicles unless that car is a natural gas vehicle. Liquefied Natural Gas (LNG): A natural gas made of methane and ethane. It’s cooled down to a liquid form so it’s not pressurized when transported. It takes up much less space than gaseous natural gas. Compressed Natural Gas (CNG): This is methane that must be stored at a high pressure to stay stable. When used in a natural gas vehicle, there are fewer gases during combustion in the engine. Most NGVs use compressed natural gas because it takes up less space in the car than LNG. With a natural gas vehicle, the gas will flow into a fuel line and then a regulator near the engine. Once pressure is reduced there, the natural gas will go to a gaseous fuel-injection system. A spark plug will ignite the gas when you start your gar and sensors will adjust the natural gas so it burns correctly. Both types make fuel-efficient vehicles that burn low-emissions fuel. This is more environmentally-friendly than petroleum-based fuels. They are cheap to build and look like conventional cars. 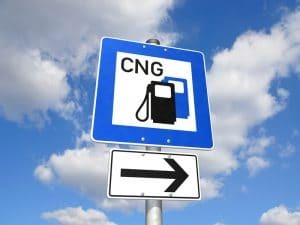 NGV Global reports that there were 26,455,793 million natural gas vehicles by the end of 2018. However, most of those vehicles are not in the United States. Only 205,000 are in use among Americans, while the majority of natural gas vehicles are used in the Asia-Pacific area (18,509,677). South America is a close second at more than 5,620,000 and Europe lands above 1,863,000. In the United States at least, it doesn’t seem that NGVs will be taking over anytime soon, although the amount of people driving them will steadily increase with time. In the United States, there are limited fueling areas for cars that use natural gas. 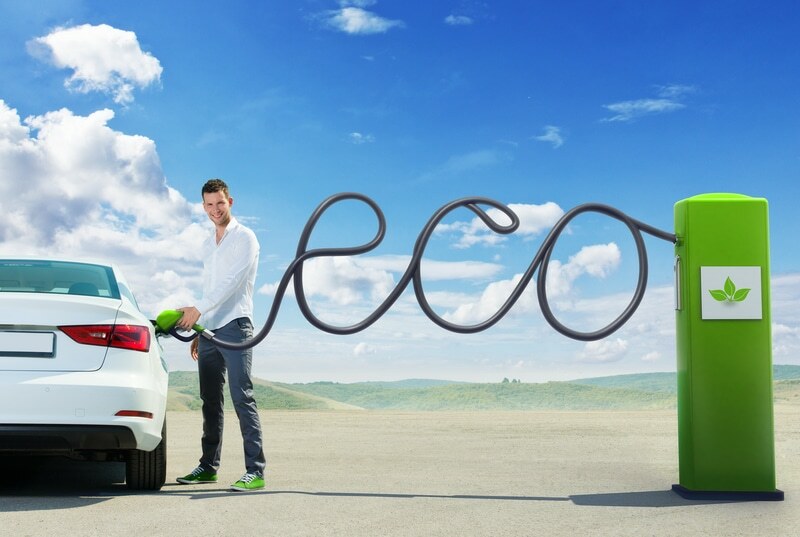 Worldwide, however, there are over 30,000 fueling stations. The U.S. boasts about 168,000+ gas stations that offer unleaded, regular/mid-grade, premium or diesel. The availability of gas stations is just one reason why drivers choose gasoline-fueled vehicles over NGVs. There are several types of natural gas vehicles depending on the type of fuel they are built for. “Dedicated” NGVs can only run using natural gas. Bi-fuel models have separate fueling systems that can either run with natural gas or gasoline. Dual-fuel vehicles will run on natural gas, but will use diesel fuel to ignite. Heavier vehicles will generally be dual-fuel and will require that diesel to get going, whereas lighter or smaller vehicles will be bi-fuel or dedicated models. However, always be aware that because natural gas works differently than gasoline. An NGV will be running on fuel that is in a gaseous state instead of a liquid state like gasoline. Because gas takes up more space than liquid, you’ll run out of fuel quicker with a natural gas vehicle. If you have a natural gas vehicle that is in need of repair or you simply have questions, call Scott’s Fort Collins Auto today at (970) 682-4202!